Blogging Beautifully: Bargain Hunting with B&M Stores! I have absolutely no problems to admit that I love B&M. I really do. We have recently had a store open 2 minutes away from us and it's so handy (although not so much for the bank balance)! I go there regularly, I find it great to purchase household goods from especially, but also I often find hidden gems such as big branded goods (the fact that they sell my Tigi hair stuff is brill) and I can never seem to just go in and get what I need, generally I come out with bags of stuff and if you follow me over on Instagram and watch my stories you will sometimes see me featuring a selection of what I have bought. With January now just behind us I think you'll agree that it has been a loongggggg old month. My last payday was 6 weeks ago, geeez it feels such a long time ago. Hopefully we can plod through February, the weather will be brighter, less cold and the bargains from B&M will continue. With that being said I have compiled a selection of sales bargains that B&M are offering to tempt you, so please do carry on reading to see if anything takes your fancy. First this lovely wooden, 6 drawer chest caught my eye. Currently on sale for £39.99 this would be perfect in our hall, in fact I'm hoping and praying that our local store does indeed have it in stock as it's only available in store. Isn't it gorgeous. 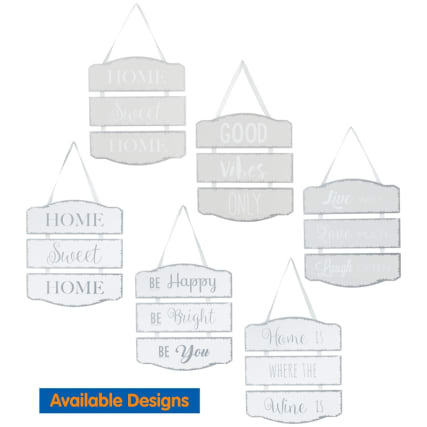 Next I found these lovely slogan signs for £1.99, these are great for adding a finishing touch to a wall and can make a house feel lovely and homely. B&M is my first stop for confectionary, I know that if I want a bargain and don't want to spend over the odds for sweets or chocolate B&M will save me!! For example take a look at these yummy matchmakers an absolute snip at a £1.00 a box. Yummy! 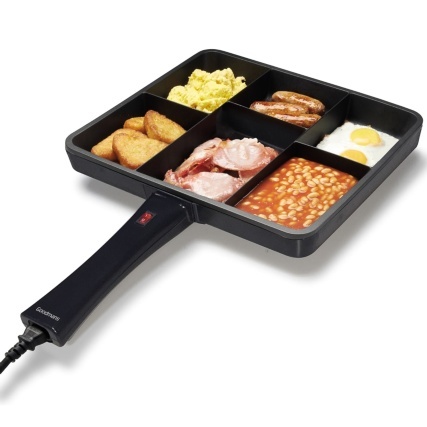 While I was scouring the good deals I saw this amazing pan, of course alot of people are dieting through January but the odd few aren't and are still enjoying comfort food so I saw this and thought it would be ideal! Plus it's on sale from £29.99 to £19.99 currently so snap one up before they sell out. To get rid of the smell of that cooked brekkie that you've just rustled up perhaps this airwick candle can help. 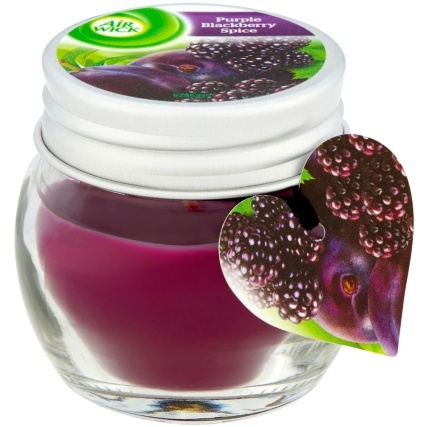 In the most lovely scent of blackberry spice and a bargainous price of £1.00 you can afford to buy one of each scent! The last couple of items are for the kiddies. 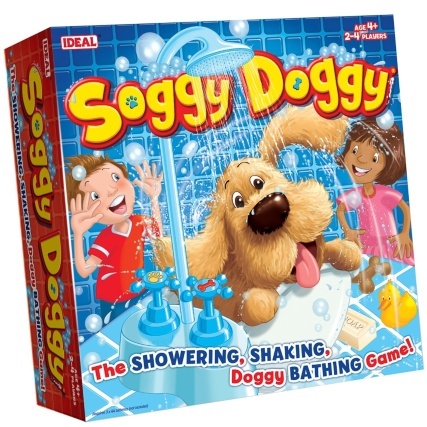 It's always good to stock up on some rainy day activities, I spotted Soggy Doggy which Alfie has been asking for and it's currently on sale for £9.99 down from £14.99 so a nice little saving there. I can see lots of fun being had! For Elarna I know she would absolutely love this cute little interactive Lucy dog which is now £9.99 instead of £19.99!! What a brill saving and she will adore this cheeky little pup. This concludes my January B&M bargain roundup! I hope you agree that it's a nice selection, there really is so much to choose from so if you've never been to a B&M store get yourself down to one asap!